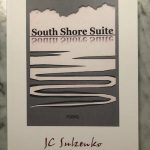 Every hour on the hour on Labour Day Monday, guest poet JC Sulzenko will read a poem from her County-centric collection,South Shore Suite…Poems, published by local publisher, Point Petre Publishing (www.pointpetrepublishng.ca .) Copies of this unique souvenir of Prince Edward County will be available for purchase on site. JC’s work has been featured in local and national media, onArc’s Poem of the Year shortlist, and in Vallum, Oratorealis, and Maple Tree Literary Supplement, and by The Light Ekphrastic. In 2016, JC curated the poetry for the exhibition Ekphrasis at Blizzmax Gallery in South Marysburgh. JC uses the pseudonym A. Garnett Weiss for her found poetry and her prize-winning centos. She serves on the Board of the Prince Edward Point Bird Observatory (www.peptbo.ca) and is a member of the selection board of Bywords.ca. She acts as curator for TheGlebe Report’s “Poetry Quarter” and co-authored two chapbooks with Carol A. Stephen, Breathing Mutable Air andSlant of Light. 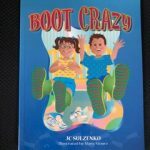 Her six books for children and families include Boot Crazy andWhat My Grandma Means to Say, about Alzheimer’s disease. 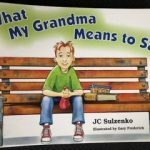 Both books will be for sale on Labour Day.